The 49ers and Jimmy Garoppolo have reached an agreement on a contract reported to be for 5-years worth $137.5 mil. The 49ers and QB Jimmy Garoppolo have agreed to a five-year, $137.5 million contract, source says. The biggest deal in NFL history on a average-per-year basis. Anyone who bleeds red and gold knows where they were the exact moment they discovered that the New England Patriots had traded Garoppolo to the 49ers at the NFL trading deadline last October. What made the agreement even more exciting was that San Francisco had to part with only a second-round pick in this Aprils draft. 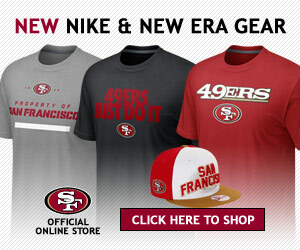 While the newly minted franchise quarterback did not start for the 49ers right away, once he did it was apparent why A. Bill Belichick desired to keep Garoppolo in New England for as long as possible and B. why other teams were reportedly willing to part with a great deal more than a second-round pick. The buzz was in the air after Garoppolo entered a game against the Seattle Seahawks, that saw then starter C.J. Beathard exit with a leg injury in the fourth quarter. He managed to get in for only a handful of plays but the last play was a gorgeous pass, as he was back peddling to his left which he completed for a touchdown. The week after that Garoppolo got his first start on a cold afternoon in Chicago against the Bears. He threw for 293-yards but did not record a touchdown. Still, he managed to have two receivers (Marquise Goodwin and rookie Trent Taylor) stack up 90+ yards apiece through the air, leaving the Windy City with a 15-14 victory. The weeks that followed saw wins against Houston, Tennessee, Jacksonville, and the Los Angeles Rams. The home win against the Jaguars and their vaunted #1 defense when Garoppolo went 21-30 for 242-yards, two touchdowns, and one interception was when it became evident that he was the real deal. After that Sunday afternoon in Santa Clara, the 49ers were either going to work towards a multi-year contract or place the franchise tag on him. They avoided the latter today, by inking a deal that makes Garoppolo the highest paid player in the NFL. Congratulations 49er fans, you have your franchise quarterback for at least the next five-years. If all goes according to plan, it will be for a great deal longer than that.